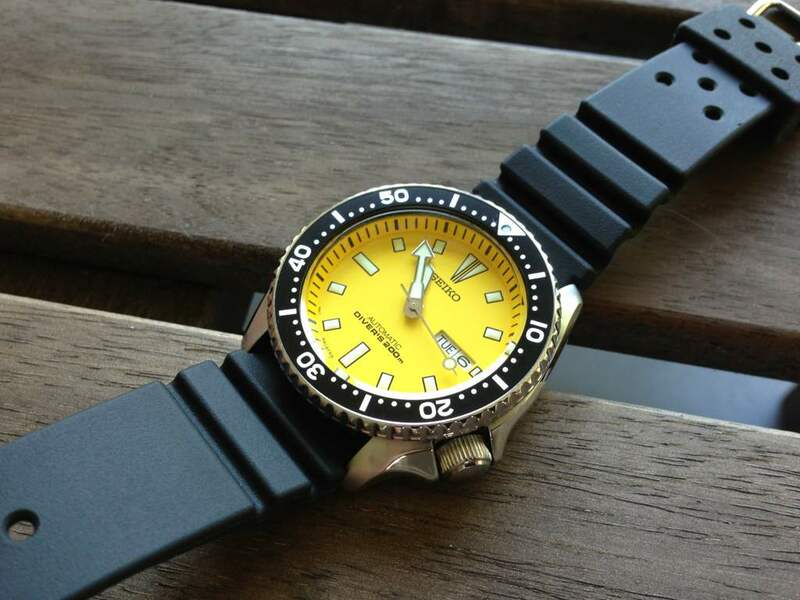 Morning all, what's the general consensus on watches with yellow dials? I really like yellow dials but then I would say that, I've got a breitling super ocean with a yellow dial. For me they're just that little bit different from most other watches without being too loud or overly obvious on the wrist. Appreciate it's a personal thing though!!! What watch are you talking about? About the only watch I can think off with a yellow face is a Schumacher Speedy. Hi, nothing as exotic I'm afraid. Thinking of getting another a Seiko, an SKXA35. That works for me, Dan. Think I'll give one of these a go in the next couple of months. I was pondering one of them new Hirsch performance straps for it. Then I realised it would cost nearly 50% of the value of the watch itself! I was never taken by yellow dials until I saw a yellow Breitling with a black and yellow strap. It was posted on this site about a year ago, by RossC. It looked amazing if I see a used one at the right price I would buy it in a heartbeat! Totally stunning! Last edited by simon_e; 14th May 2014, 08:07 AM. This is my first time uploading a pic so hope I've done it properly!! These 2 pictures that Ross posted last year made me really want this watch! I haven't bought one yet but it's on the want list. Don't mind them but I'd never buy an expensive watch that had a yellow dial. I'm quite keen on the yellow options. Here's one of mine thus far..